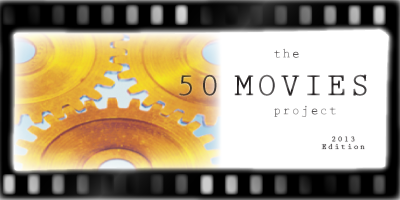 Reason for inclusion: I noticed this on several “best of” lists for film noir, crime, the 1950s, etc. and wanted to make it a point to finally see it. 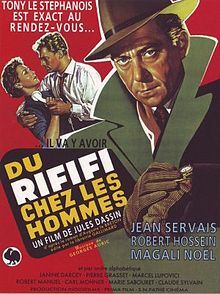 When it comes to heist films, there is Rififi and then there is everything else. Fresh out of prison after serving five years for stealing jewelry, Tony (aka “The Stéphanois”, played by Jean Servais) is struggling to adapt to the life he once knew. He drinks too much, has a nasty cough that suggests possible lung disease, has hit a cold streak playing cards, and to top it all off, his former girlfriend is now property of a Parisian mob boss. Needless to say, when a colleague (Jo, played by Carl Möhner) approaches him with the idea of pulling off another jewelry heist, it doesn’t take long for Tony to warm up to the idea. Two other men — Mario (Robert Manuel) and master safecracker César (Jules Dassin) — enter the picture, and the group begins developing an increasingly detailed plan to rob a popular Parisian jeweler’s storefront. Their research is immaculate — they make multiple trips to the store, checking in on its security system while also learning the inticracies of the building itself. The store’s alarm system is easily triggered, as mere light vibrations will set it off for the whole neighborhood to hear. In a bit of ingenious filmmaking, we are able to watch the group as they buy an identical version of the alarm and start pondering ways to mute it. Tampering with the wires and the insides of the alarm will immediately cause a ruckus, so there appears to be no clear way to disable it. Just as the men are starting to lose hope on the operation, Tony finds a way to quiet the system using fire extinguisher foam. Eureka! The actual heist is the stunning centerpiece of the film. For nearly 30 minutes, Dassin shows the group executing their plan, most of which takes place in complete silence (meaning no music either). It’s a rather amazing accomplishment, as there is so much tension and suspense without anything being said. This type of sequence could never happen today. But yet with Rififi, there is still *more* after the heist. Here the criminals have to deal with the aftermath of their feat, and it isn’t pretty. The film gets shockingly violent after this, especially by 1955’s standards. Perhaps even more incredible, the film manages to turn these anti-heroes into likable characters. Tony, in particular, is an absolute brute at the beginning of the film. How can we root for someone so self-loathing who also unnecessarily smacked around his ex-girlfriend? Yet by the end of the film, we see that he *does* have a set of morals, and we want to see him succeed. All four thieves follow the “code of silence” after the heist, which is admirable in its own right. Rififi is still an impressive piece of filmmaking, and it’s clear that it has influenced nearly every major heist film since its release. It’s easy to see why Quentin Tarantino selected it as one of the “coolest movies of all-time” — hell, without Rififi, there would be no Reservoir Dogs. A must see. Great review of a truly great film! Got this on my watchlist because I too heard it mentioned as an unmissable classic. With your praise, I should watch it sooner rather than later! This one lives up to the hype, Chris. Hope you enjoy it as much as I did! WOW, sounds like I must check this out soon. “When it comes to heist films, there is Rififi and then there is everything else.” Nice line Eric, good stuff! Cheers, Ruth. This one really impressed me. 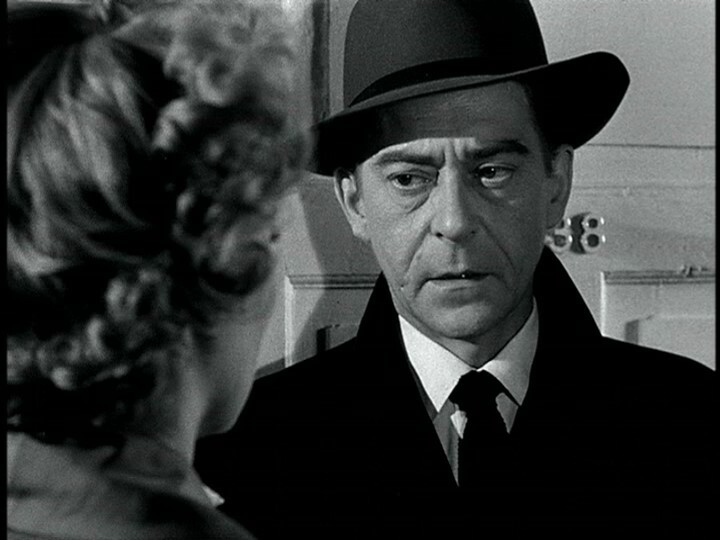 I’ve heard a lot about how influential Rififi is, and as I love the heist genre, it’s been one I’ve been wanting to see for a while. Glad to hear it lives up to the hype. This one is definitely worth a look, Morgan. 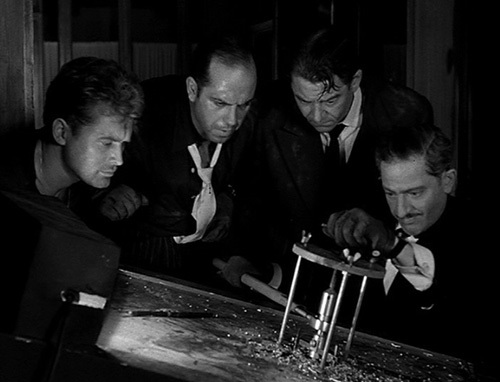 Pretty much every heist film made after this owes some debt to Rififi.